B&O PLAY continues to drive the market for lifestyle audio products with the launch of B&O PLAY H9 – a beautifully designed wireless, over-ear headphone that combines craftsmanship and supreme comfort with flagship noise cancelling performance (ANC) that cocoons travellers from the roars of the city and immerses them completely in the music experience. 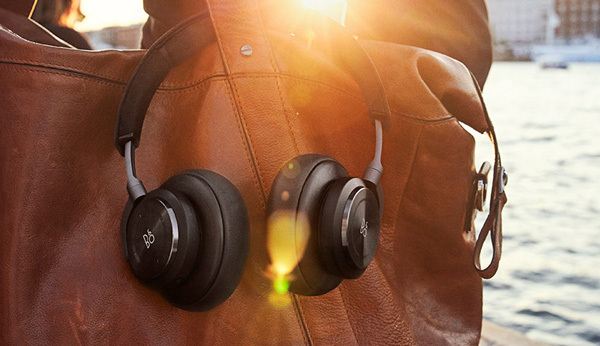 B&O PLAY H9 comes with a wireless, over-ear wearing style for a more expressive look, and is crafted in luxurious, lightweight and true materials. The headband is built up around a solid and lightweight aluminium frame covered with stitched cowhide leather, and underneath the soft lambskin coated ear cushion is adaptive memory foam that adapts to the shape and curve of the ear for supreme comfort and breathability. Other than making the headphones comfortable for hours on end, the ear cushions act as an isolating element, which naturally leaves out many of the high frequency sounds. In combination with the ANC it gives travellers worldwide a beautiful listening experience, where you can hear every detail in noisy environments without compromising the sound. On the side of the right ear cup is an intuitive touch interface in anodized aluminium that captures the latest acoustic innovations from B&O PLAY. With this interface, you can – with just a single touch or swipe – activate the noise cancelling function, change songs, answer calls and control the volume. 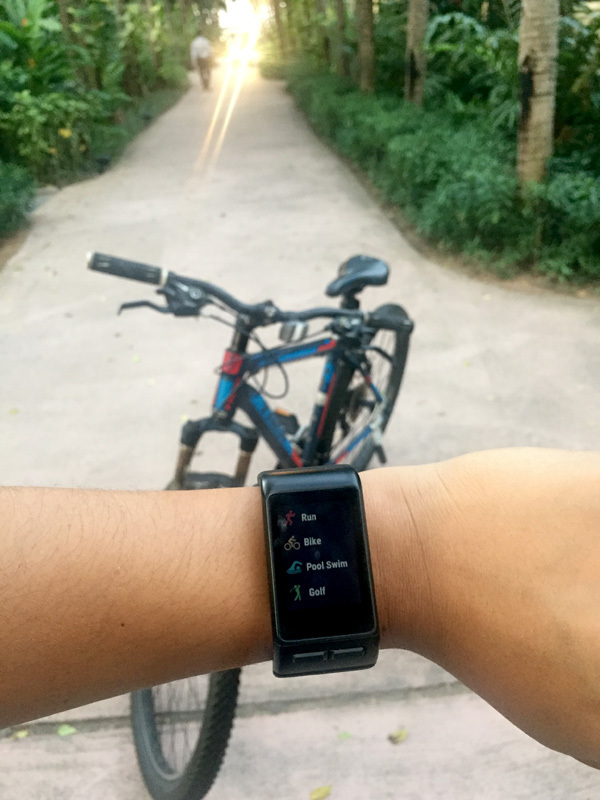 Made for travellers in all weather conditions, the interface works under humid conditions and with gloves on. B&O PLAY H9 features hybrid Active Noise Cancellation technology. Multiple microphones placed on the outside of the ear cushion as well as inside capture the noise before it reaches the ear and produce a reverse signal effectively cancelling out unwanted elements. 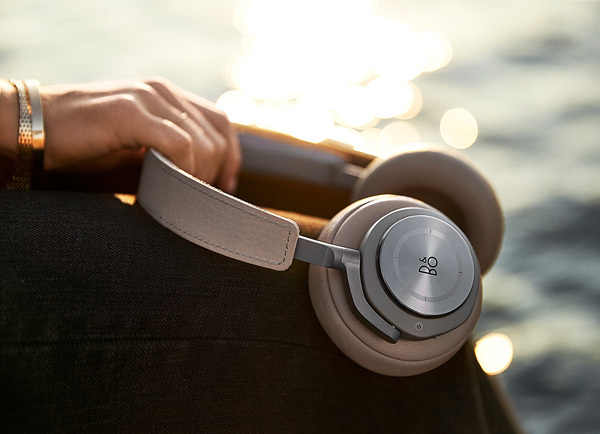 This leaves the unique Bang & Olufsen Signature Sound intact – a well-rounded, authentic and clean sound performance, designed to bring you music the way the artist intended it. B&O PLAY H9 comes with up to 14 hours of noise cancelling music performance with just a three-hour charge. You can swap the battery in a snap, and if you run out on it just attach an audio cord to keep listening to your music. If you forgot to turn your headphones off the intelligent battery-saving function will automatically kick in. • Bang & Olufsen sound engineers have created a variety of sound profiles specifically for B&O PLAY H9: Commute, Clear, Workout and Podcast. • Users can adjust the tonality and sound staging themselves with the playful and intuitive B&O PLAY ToneTouch. The interface lets users feel their way through different sound settings and find the one that best suits the situation. Once adjusted, B&O PLAY H9 saves the setting on the product itself until you adjust it again. • Connected to B&O PLAY H9, the Beoplay App makes it easy to monitor the battery status of the headphone. • Users can control the music (play, pause, forward, back), turn on or off the ANC and they can personalize the headphones in the app by giving it a specific color and name. • By connecting B&O PLAY H9 to Beoplay App, users also receive software updates over the air – a new functionality made available for B&O PLAY H9. So if you want to check out the Bang & Olufsen Beoplay H9 at their showroom at Sejalin Living at Kiarong. Too bad I wasn’t able to catch the Oscars completely. I only managed to catch the first hour. 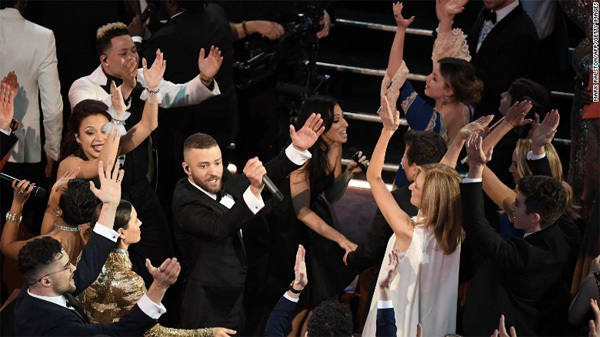 Hence, I missed all the commotion where the presenters for Best Picture made a boo-boo and everyone thought it was a done deal with producers of La La Land grabbing the biggest honour, Best Picture. Oh well, this reminded me of the Miss Universe incident last year. La La Land had 14 Oscars nomination and left with 6 awards. 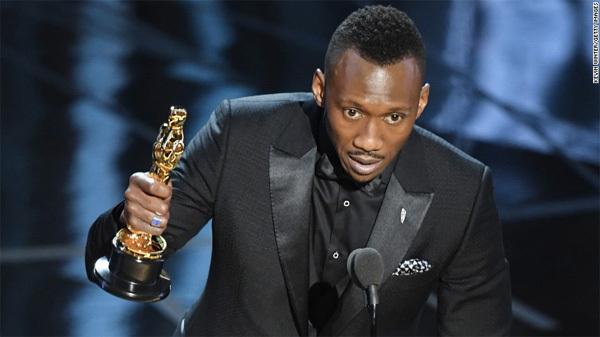 Moonlight grabbed three Oscars including Best Picture and Best Actor in a Supporting Role. So it wasn’t a dominant win for La La Land and well balanced for both movies. I was impressed with Jimmy Kimmel as the host for the Oscars. He didn’t make the audience feel awkward and his jokes and humourous puns were politically driven and the audience didn’t mind that at all. He was definitely better than Ellen DeGeneres as a host. 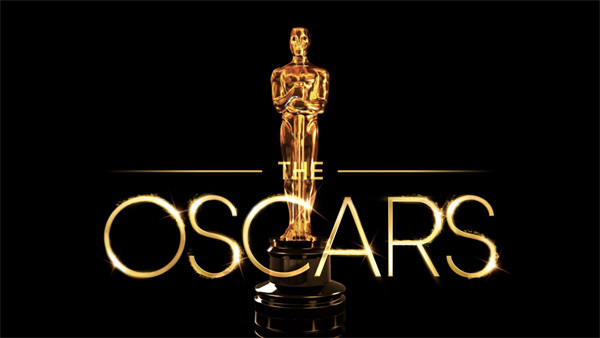 Below are the lists of winners from today’s Oscars. 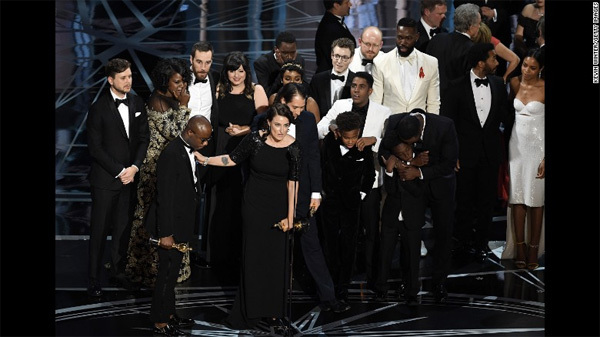 What a mess with the presenters when Faye Dunaway announced the wrong winner for Best Picture, calling it out producers of La La Land instead of Moonlight’s. Congratulations to the Moonlight and though I wanted La La Land to win the big award, you can’t have them all. 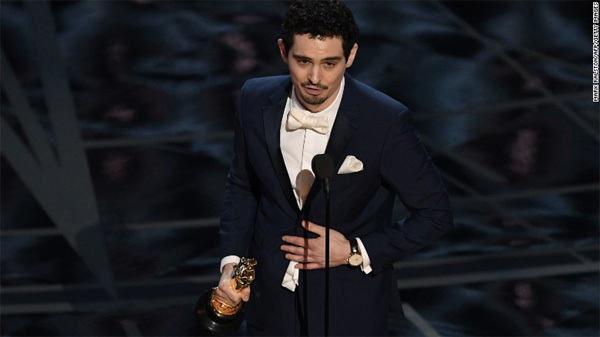 A well deserved win for Damien Chazelle for Directing in “La La Land”. He was also nominated for his Directing role in Whiplash. He is also the youngest director to win an Oscar. Awesome!! 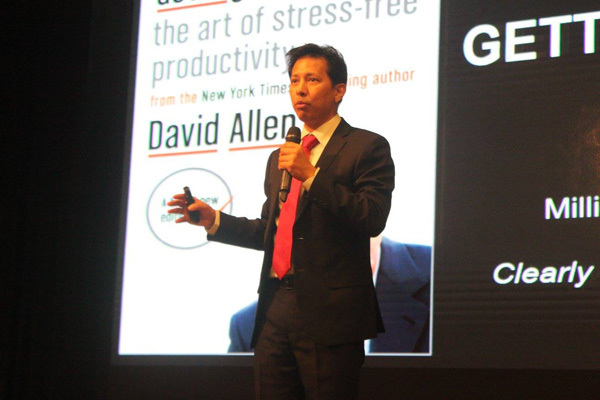 Have you experienced GTD workshop? 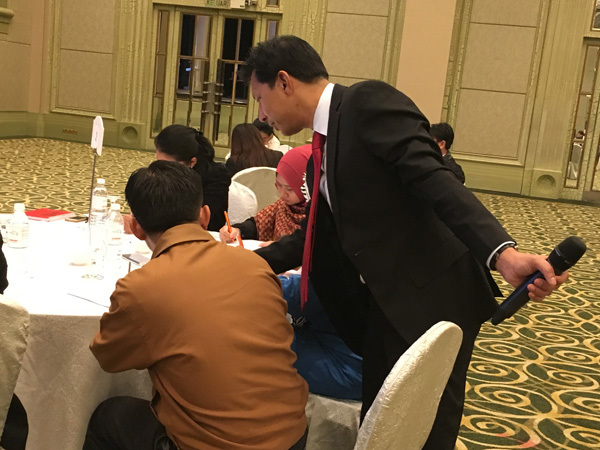 Young Executive Seminar (YES) 2016 was held from the 1-2nd November last year at Sunway Putra Hotel, Kuala Lumpur, Malaysia. This prestigious event was organized by Irshad HR Consulting, an executive partner of our local coaching and consultancy firm Rhymin & Partners. 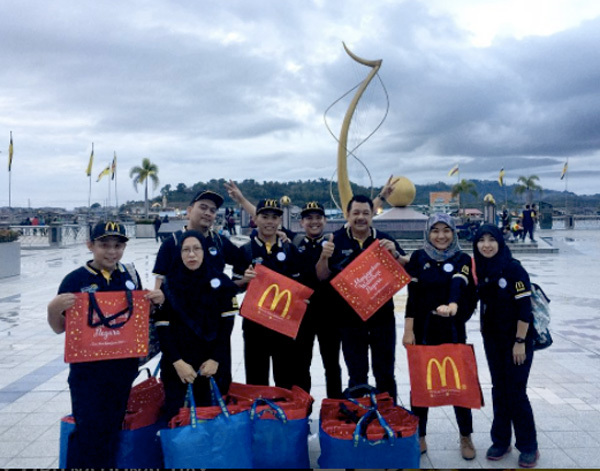 Irshad believes that young executives should be inspired to develop their leadership skills, where in return these young executives will lift up the performance of everyone who works with them. With “PURPOSE. PASSION. 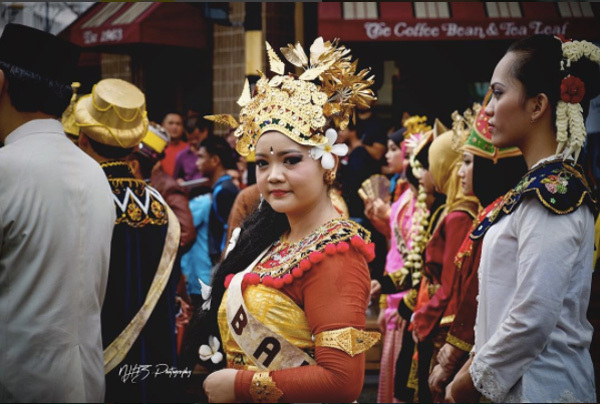 PERFORMANCE” as the theme for last year’s YES 2016, participants was served with an array of influential and experienced speakers and facilitators to meet the seminars objectives. Haji Sairul Rhymin C.A Mohamed, CEO and trainer for Getting Things Done™ (GTD) was invited to present a 2-hour taster of Rhymin & Partners’ franchise GTD training. Getting Things Done™ is a work-life management system that has helped countless individuals and organizations bring order to chaos with stress-free productivity. In essence, GTD™ is a powerful method to manage commitments, information, and communication. It has earned a reputation as the gold standard in personal and organizational productivity. GTD™ has helped more than 40% Fortune 500 companies and their employees with a minimum of 20% improvement in the personal productivity and effectiveness. Implementing GTD™ will enable greater performance, capacity and innovation. It helps alleviates the feeling of being overwhelm by instilling focus, clarity and confidence with a simple, trusted and personal system. 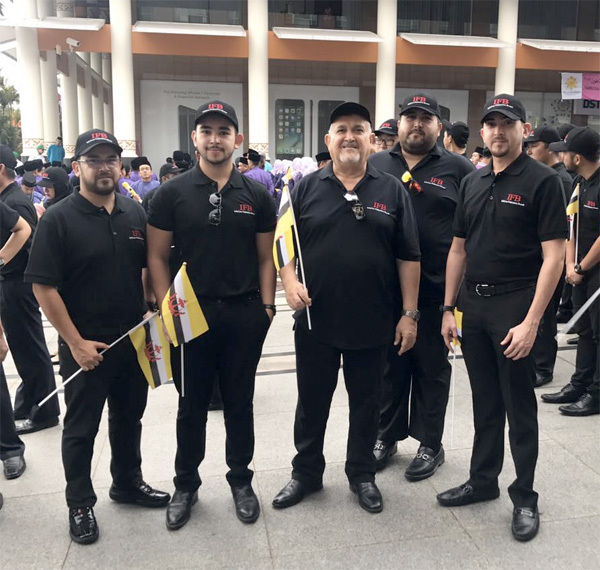 Rhymin & Partners have offered services to help develop the public and private workforce not only locally but internationally as well, as they are the official franchise holder for GTD™ in Malaysia and soon to be Singapore. 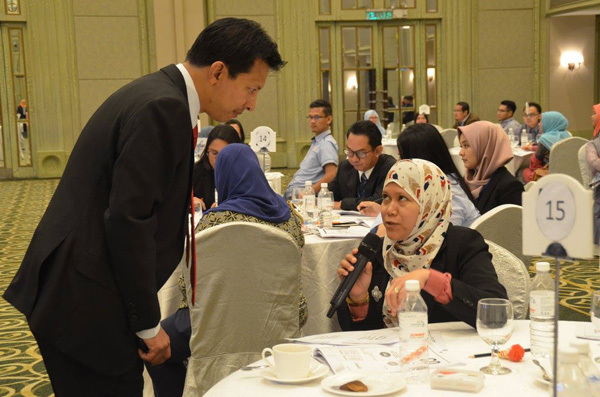 They also offer other trainings which are Effective Communication Skills which is led by Stuart Lee and also Coaching where they bring in Alex Tan from Avidity Malaysia to come in and help organisations improve their company’s health. 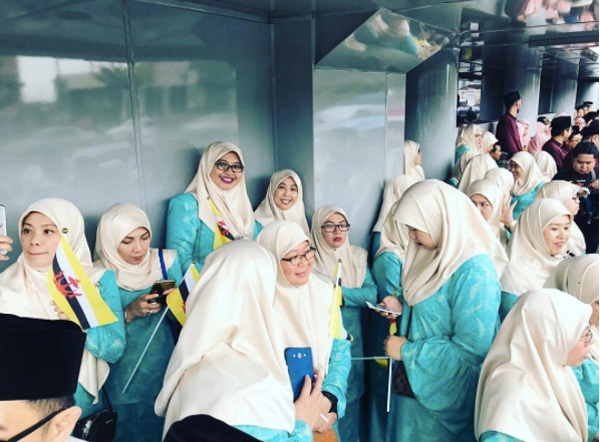 Some of their well-known clients are Ministry of Defence, Ministry of Finance, Ministry of Development, Telbru, JPH, RB, UBD ILIA, BIBD, Mixmedia, BAG, AITI, BEBD, TM (Malaysia) and Kaspersky (Malaysia) just to name a few. 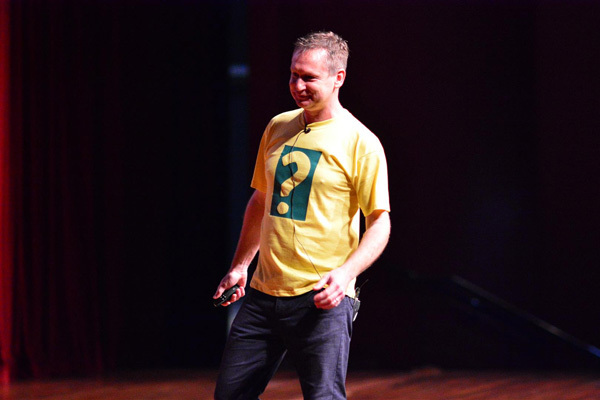 I even had a one day session of GTD two years ago and I find it quite useful and educational. 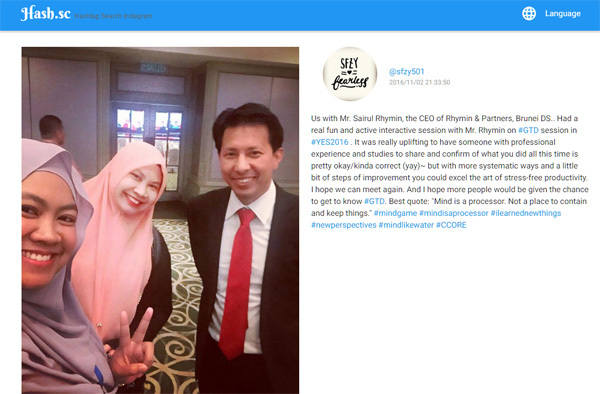 Should you require further information on how Rhymin & Partners can help your organization, please contact them at enquiries@rhyminpartners.com or at +6732450710. 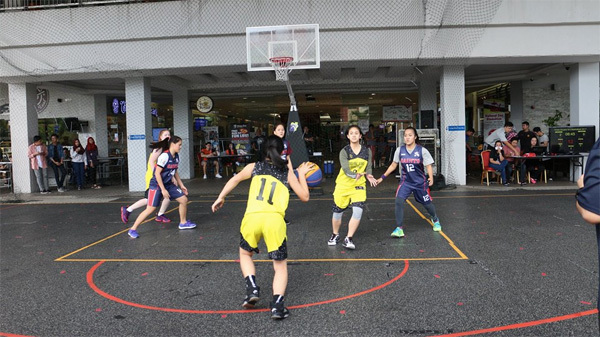 Times Square Shopping Centre ended its first ever 3 on 3 Under-18 Basketball Tournament yesterday on Sunday, 26th February 2017. 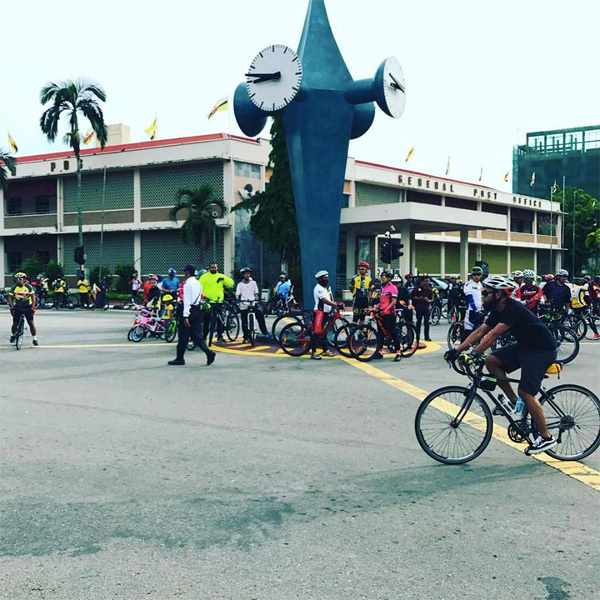 The event was held on 24th February, Friday until 26th February, Sunday and was organized by Times Square Shopping Centre in collaboration with Shooting Stars Brunei and Fitness Zone. 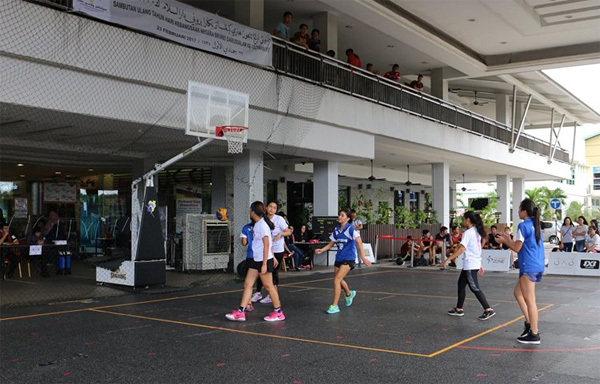 A total of 19 boys’ teams and 5 girls’ teams joined the three days tournament. In the boys’ category,Chino Lions, BYD Cash Me Outside, Fun Lions and BYD Alpha made it to the semifinals with the first two teams going against each other with Chino Lions emerging as the winner with the score of 13 – 8 while Fun Lions and BYD Alpha battled their way to the finals with the score of 6 – 11. 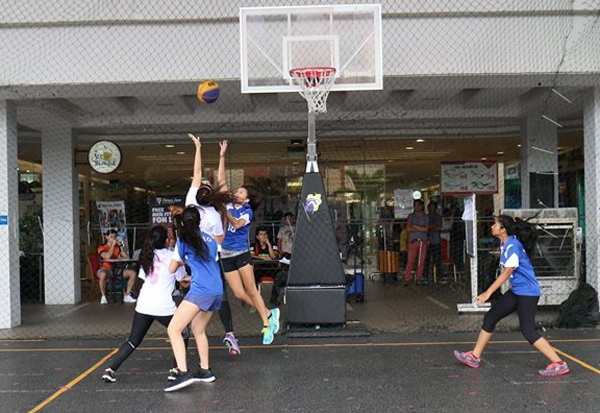 In the 3rd place match, BYD Cash Me Outside later beat Fun Lions to claim the third place. 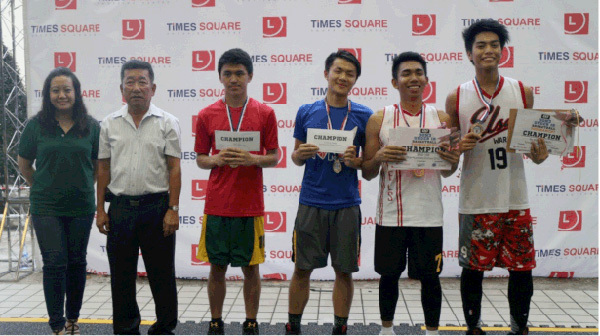 Moreover, in the finals match of Chino Lions vs BYD Alpha, team BYD Alpha beat Chino Lions with the score of 7 – 12 emerging as the first champion of Times Square 3on3 Under-18 Basketball Tournament. On the other hand, Mum Bakery emerged as the champion for the girls’ category after beating SSBN Bake Culture in the Finals match yesterday with the score of 13 – 7. Earlier yesterday, the champion clinched past Ragons in the semifinals with 18 – 0 whereas second place winner SSBN Bake Culture won their semis against Ace with 6 – 4. 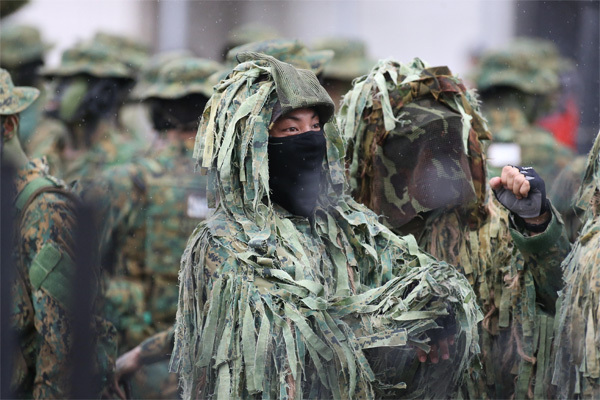 The third place match between Ragons and Ace ended with Ace emerging as the third place winner with the score of 6 – 8. 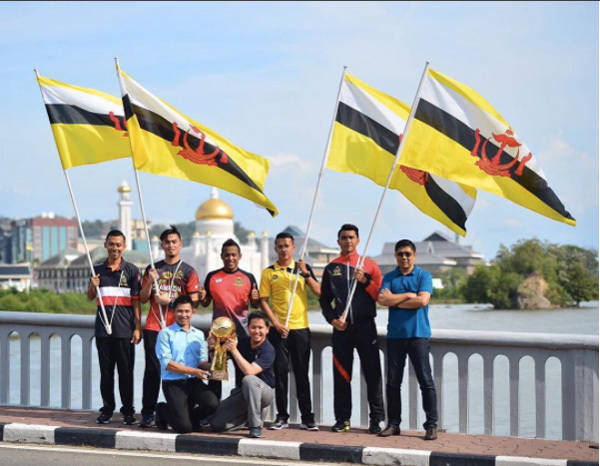 Present during the closing ceremony and prize presentation yesterday to give away the prizes was Mr Kwang Ming Heng, the chairman of Brunei Basketball Association. 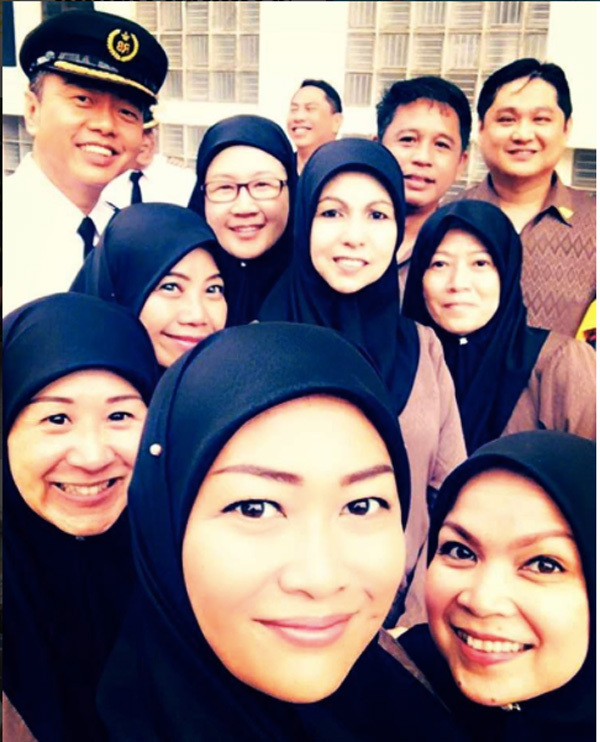 Also present during the ceremony was the general manager of Times Square Shopping Centre, Mrs Amal Majidah Hj Suhaili. The champions of both categories brought home medals, $100 cash prize, $80 gift voucher from B.Foot, $50 gift voucher from Current Enterprise, 4 movie tickets from Times Cineplex and certificates of participation. 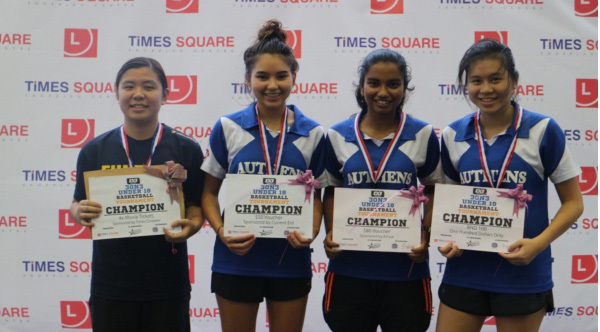 Not only that, MVPs for both boys’ and girls’ categories, Adrian Azaharaini from Chino Lions and Ho Shing Shing respectively each walked away with medals, a wireless speaker from City Mobile and one gift voucher for All-You-Can-Eat-Buffet either from Seoul Garden or All Seasons. 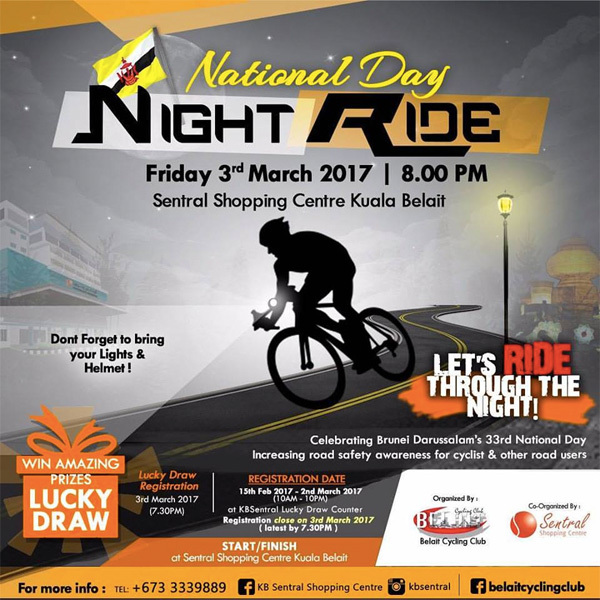 Moreover, Times Square Shopping Centre will be having a Board Games Weekend on the 10th of March until 12th of March 2017.Stay updated with all of Times Square’s events by following them on Facebook or Instagram as well as our website at tsqbrunei.com. 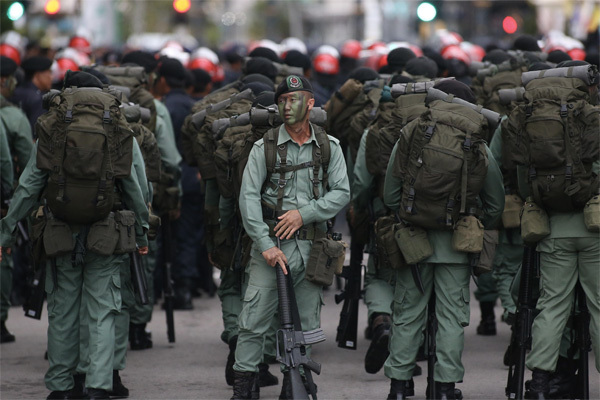 Image courtesy of Times Square Shopping Centre. 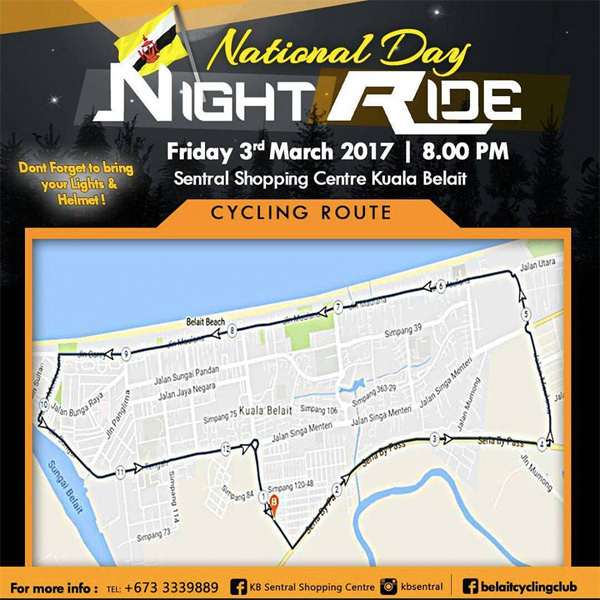 Written by Rokiah Mahmud of Borneo Bulletin. 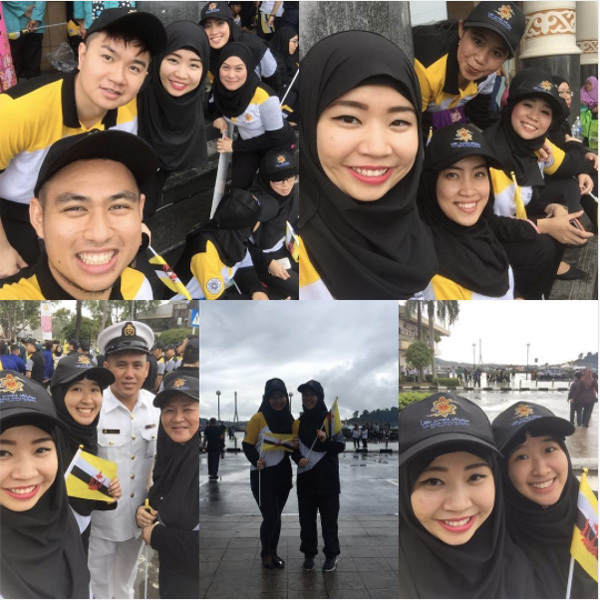 An early morning heavy downpour that soaked the quiet streets of Bandar Seri Begawan failed to dampen the spirit of patriotism, love and loyalty towards the nation as thousands of citizens and residents flooded the capital to celebrate Brunei Darussalam’s 33rd National Day on Thursday, 23rd February 2017. 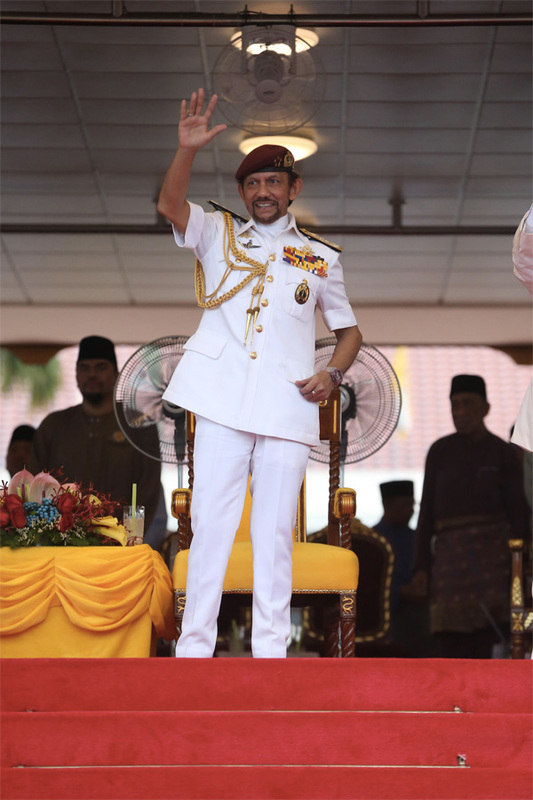 Following the arrival of His Majesty Sultan Haji Hassanal Bolkiah Mu’izzaddin Waddaulah ibni Al-Marhum Sultan Haji Omar ‘Ali Saifuddien Sa’adul Khairi Waddien, Sultan and Yang Di-Pertuan of Brunei Darussalam, the Taman Haji Sir Muda Omar ‘Ali Saifuddien was awash with a multitude of colours as thousands, young and old, serving and retired as well as the differently abled, marched in unison across the field’s stretch in a show of patriotism and loyalty. 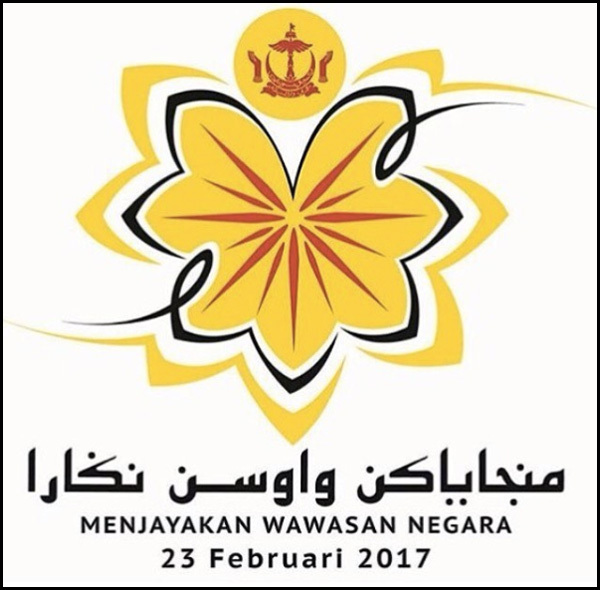 Witnessed by His Majesty who was accompanied by His Royal Highness Prince Haji Al-Muhtadee Billah, the Crown Prince and Senior Minister at the Prime Minister’s Office; His Royal Highness Prince Mohamed Bolkiah; His Royal Highness Prince Haji Jefri Bolkiah; His Royal Highness Prince ‘Abdul Malik; His Royal Highness Prince ‘Abdul Wakeel; and Her Royal Highness Princess Ameerah Wardatul Bolkiah, the magnificent National Day parade and celebration saw more than a 23,000-strong team ranging from field performers, parade participants to students lining the way for the royal convoy. 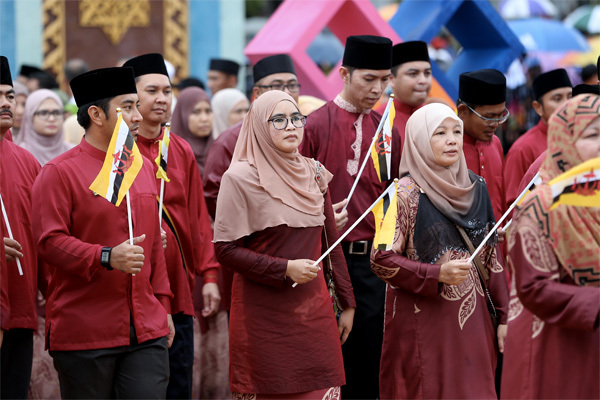 Upon arrival at the Taman, His Majesty and members of the royal family were greeted by the Minister of Culture, Youth and Sports, Pehin Datu Lailaraja Major General (Rtd) Dato Paduka Seri Haji Awang Halbi bin Haji Mohd Yussof, in his capacity as the Chairman of the Executive Committee for the 33rd National Day celebrations, as well as other members of the committee. 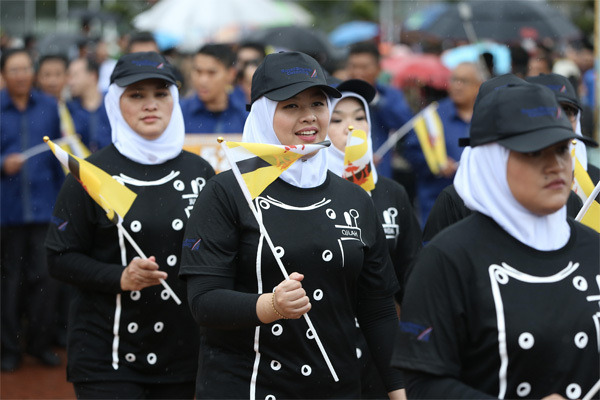 The royal convoy was greeted by enthusiastic people in their thousands with the royal salute and singing of the national anthem. 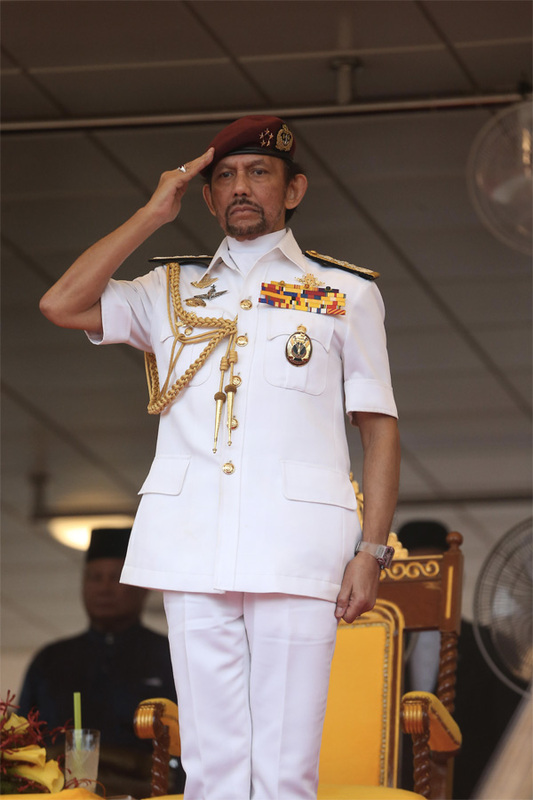 His Majesty then consented to inspect the royal guard of honour mounted by personnel from the Royal Brunei Armed Forces and Royal Brunei Police Force. 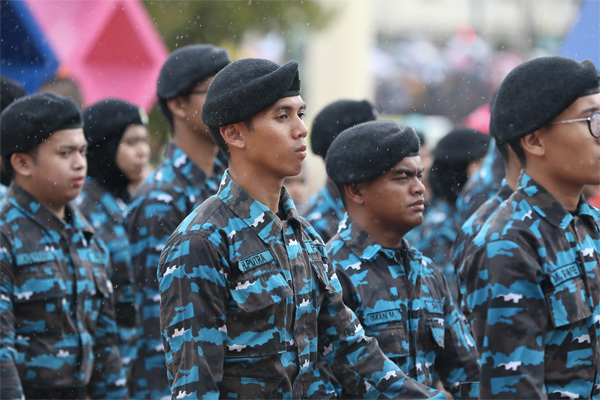 With the theme ‘Accomplishing the National Vision’ (Menjayakan Wawasan Negara), yesterday’s event had been weeks in the making with thousands of participants enduring heat and humidity during coordinated military-precision training to provide the nation with the best the people were able to muster to mark one of Brunei’s most important historical events. 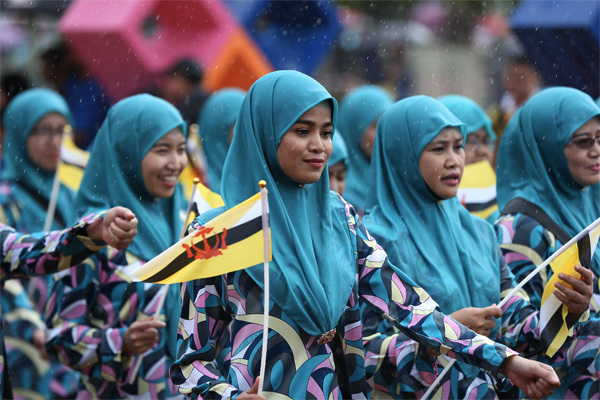 This year’s theme aimed to instil three main features – loyalty to the Sultan and country, belief in the values of Islam and the harmony of social and traditional practices. 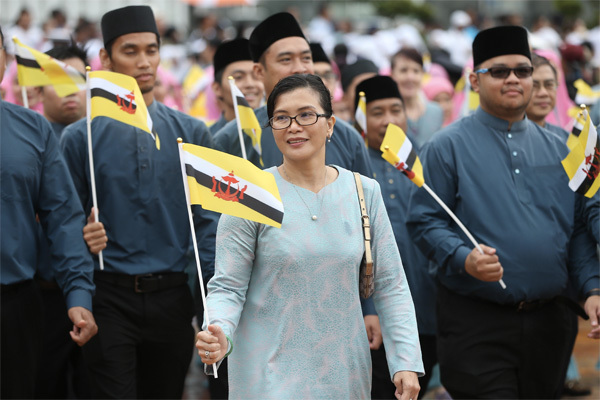 The theme states that each citizen, resident as well as all sectors involved in national development have a role in ensuring that the Brunei Vision 2035 is successfully realised. 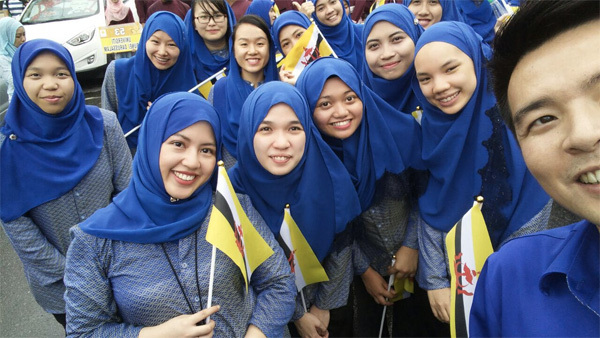 The Brunei Vision 2035 of His Majesty envisages making the country known throughout the world as a nation with people who are educated, highly skilled and successful that is measured by the highest international standards, as well as creating a dynamic and sustainable economy. 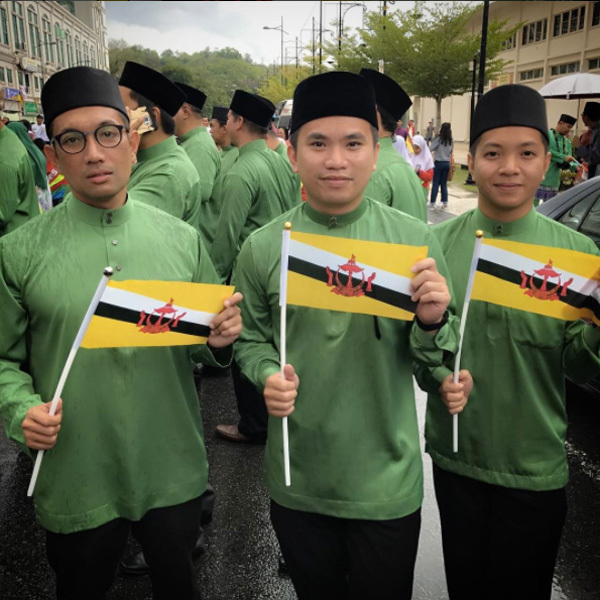 Yesterday’s celebration began with a parade led by flag bearers carrying a giant size national flag symbolising the nation’s sovereignty and the people’s spirit of independence and love and loyalty towards the nation. 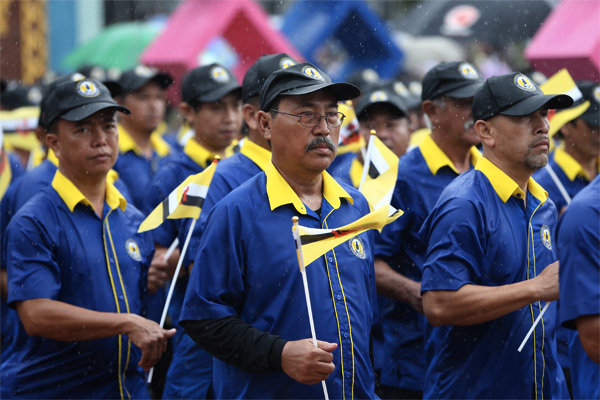 Behind them were the 33 oath readers carrying national flags and the logo of the 33rd National Day; contingents of the Royal Brunei Armed Forces, Royal Brunei Police Force, differently abled, government ministries and departments, district representatives – all walked with full of confidence and pride reflecting their strong commitment in meeting the aspiration of the country. 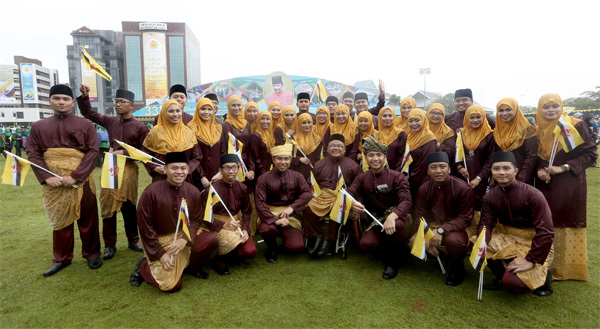 A team of 100 students representing three different schools, namely Anggerek Desa Primary School, Haji Mohammad Jaafar Maun Primary School and St George’s School and the National Service Programme (PKBN) contingent of 360 trainees of the 6th intake performed a chorus describing the role of the young generation in realising the Brunei Vision 2035. 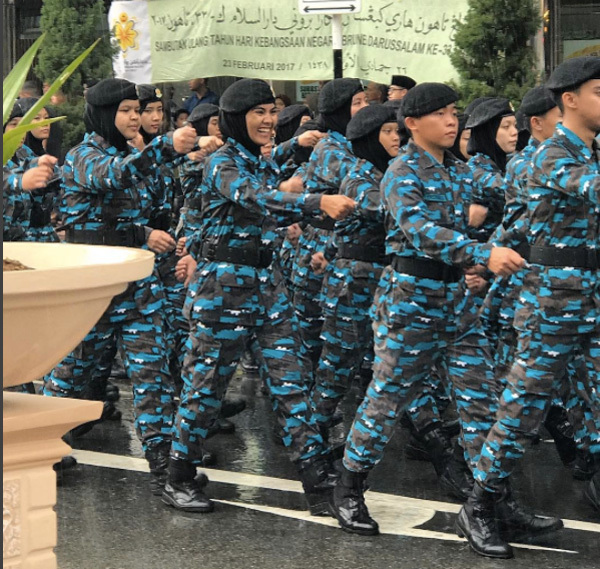 The parade also saw teams from higher education institutions, colleges, government and private secondary and primary schools, non-governmental organisations, banks, foreign associations as well as a group of excellent achievers marching to celebrate the country’s independence. 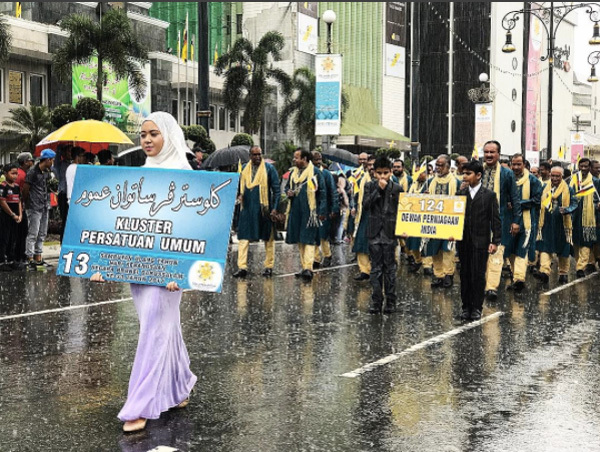 Educational institutions made up the largest single group in the parade with over 10,000 parading for them. 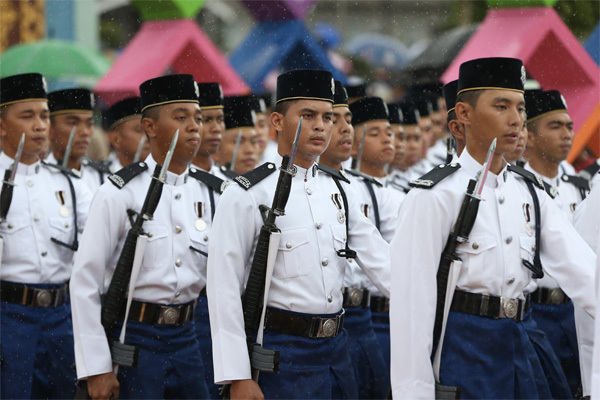 More than half of the march past participants comprised youth, showing their commitment in developing the nation’s capabilities. 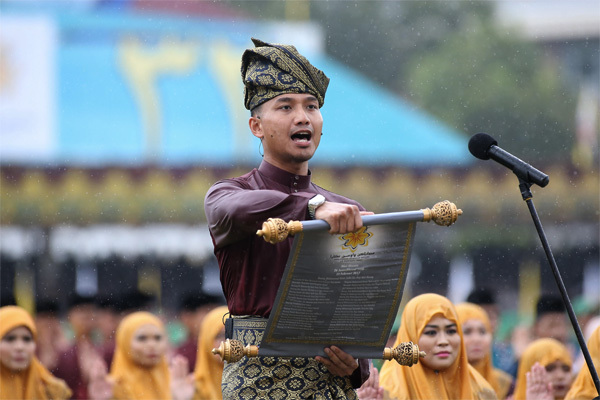 Amid the march past, the proclamation of oath, led by Muhammad Ihsan Sabri bin Haji Abdul Manap, Acting Assistant Brunei-Muara District Officer as well as the call of ‘Allahu Akbar’ three times, led by Pengiran Muhammad Ameer Mubaarak bin Pengiran Haji Hashim, Administrative Officer Grade One at the Ministry of Education, echoed in the capital. 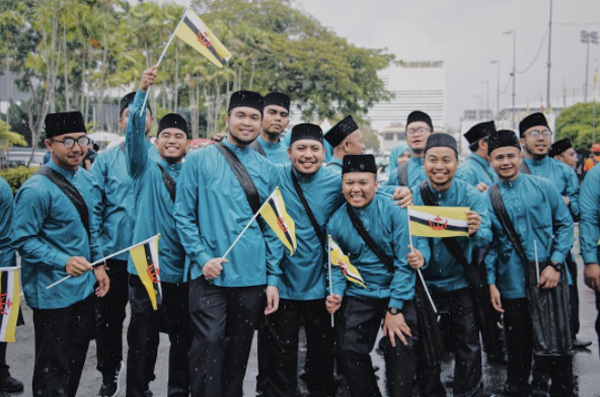 The oath readers’ team comprised 33 participants selected from various government and private sector institutions, higher education institutions, uniformed departments and associations. 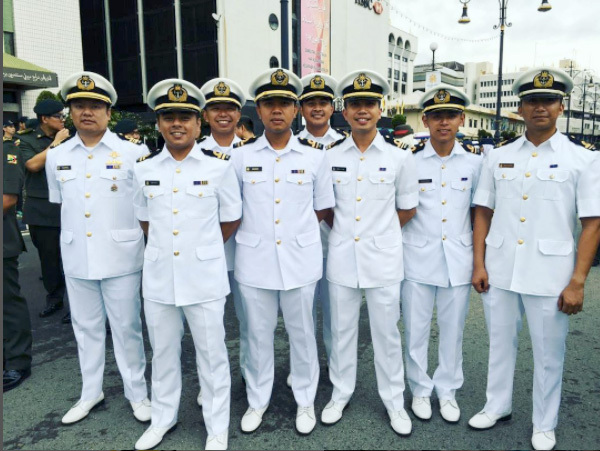 The team was also represented by two special needs participants who used sign language to deliver the oath. 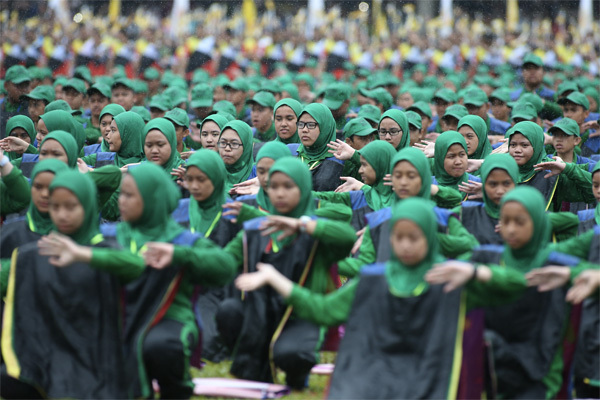 The highlight of the 33rd National Day celebration was field performances showcased by some 7,133 participants that reflected solidarity among the people in upholding the commitment to realise the country’s vision. 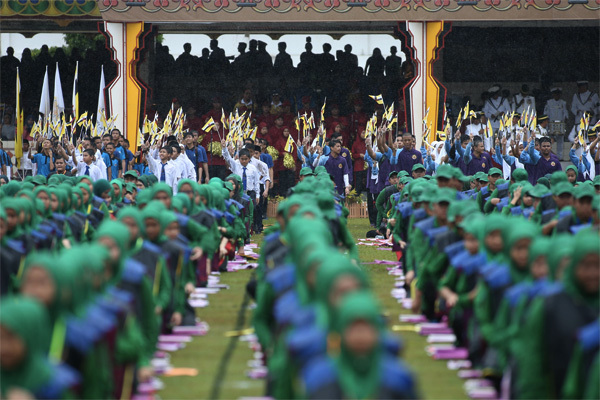 Before leaving the Taman, His Majesty consented to meet and greet the participants and appreciate them for their committed efforts to make the 33rd National Day celebration a big success, overcoming a hostile weather. 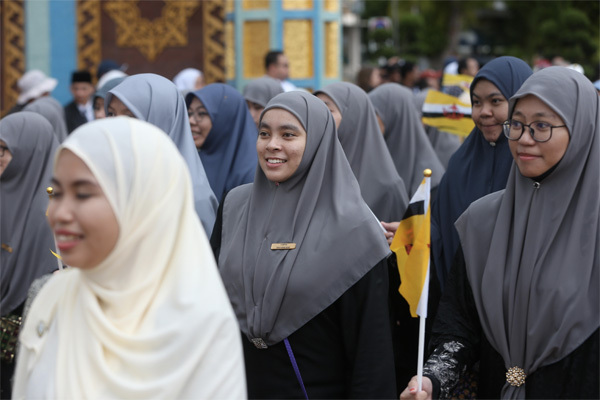 Image courtesy by Haqimie. 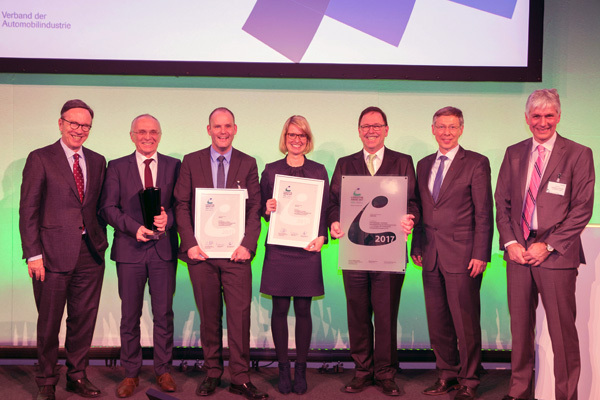 A prize for a pioneering achievement: Audi has won the Logistics Award for 2017 from the German Association of the Automotive Industry (VDA) in recognition of its FTS driverless vehicle transport system. The autonomously operating system has been in production operation at the Ingolstadt site since the beginning of the year. The parking robot named Ray sorts up to 2,000 cars per day for loading onto railway freight cars. This application is the only one of its kind to date in the automotive industry. 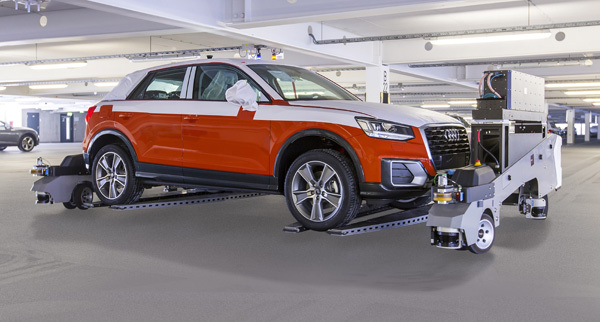 There are now twelve parking robots in use at Audi’s main plant in Ingolstadt. They autonomously transport Audi models after production for railway loading. For this, one of the roughly six meter long and three meter wide robots uses laser sensors to determine the position and dimensions of a car and adjusts itself accordingly. Then the robot carefully lifts the car up to ten centimeters. A central, autonomous control system assigns a space to the robot where the robot can park it via the shortest route. Once a sufficient number of cars have accumulated for the same transport destination, a robot prepares them for loading on to the railway freight cars. 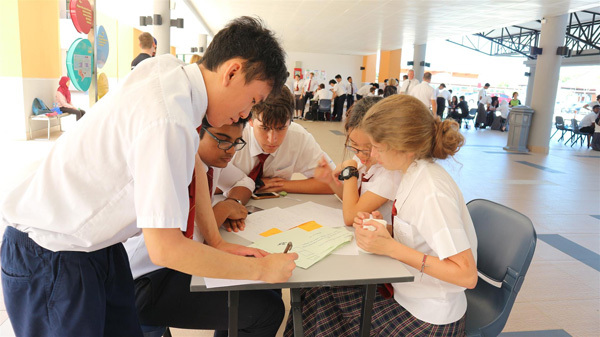 Jerudong International School was buzzing with excitement recently in both the Senior and Junior School as the annual Maths weeks took place once again. The guest for the week was Jim Noble, a renowned mathematician who JIS and Shell Brunei brought into School. 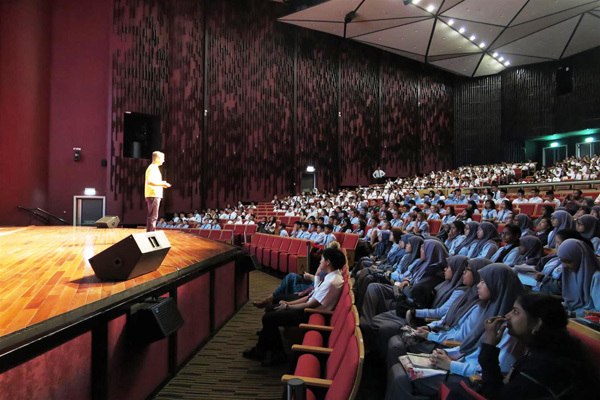 His key lecture ‘Mean Girls: Mathematics and the MEANing of Life’ was well received by students of all ages in the magnificent Arts Centre Auditorium. 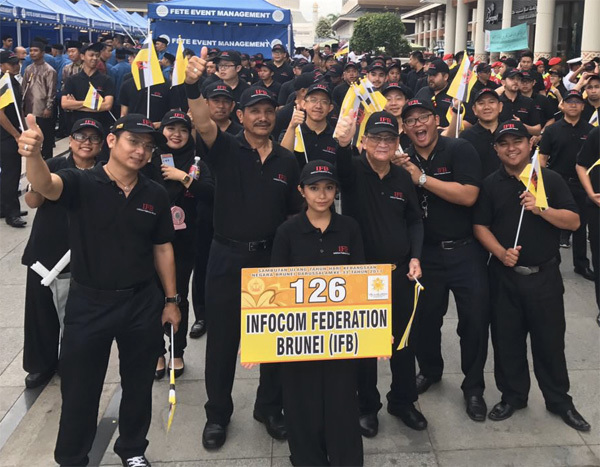 This sponsored event also included students from the International School Brunei, Chung Lian School, Seri Mulia Sarjana, St. Andrews School, STPRI School, SMJA and St. George’s School. 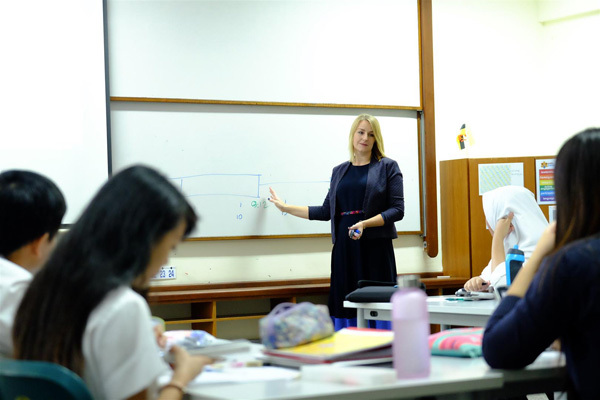 The new Head of the Maths Faculty, Rebecca Baker, an Oxford University Graduate who has worked in schools in the UK, Europe and Central America before joining JIS in August 2016, was delighted with the way students seized the opportunity to focus on Maths that week. 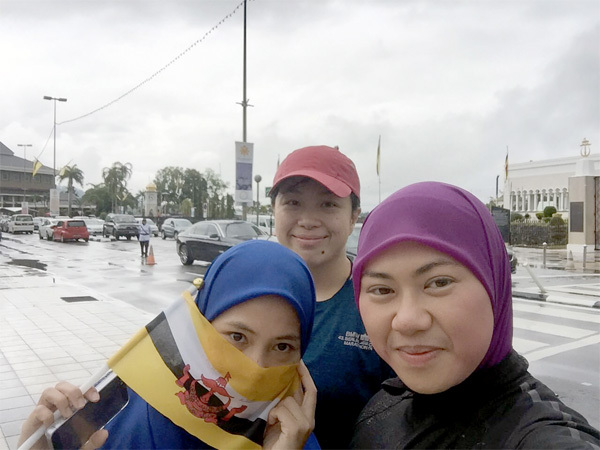 Jim Noble, who runs maths workshops, conferences and writes in two mathematics websites for teachers (www.teachmathematics.net and www.thinkib.net.mathstudies) was also very positive about his time in Brunei as evidenced in his tweets at @teachmaths. Throughout the week, the maths faculty held various maths workshops such as ‘The Exponential Experience’, where students modelled the spread of disease as a way of understanding exponential growth. 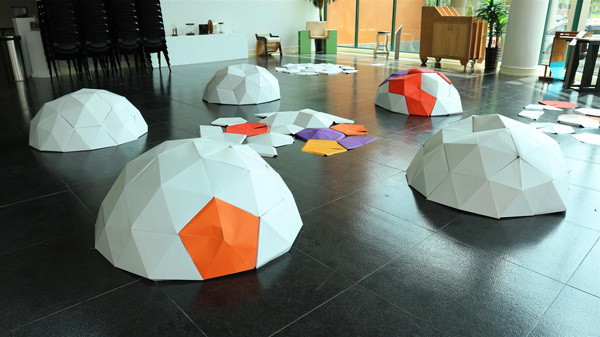 The ‘Geodesic Domes’ workshop taught students to use rich and engaging maths to make impressive geodesic domes. 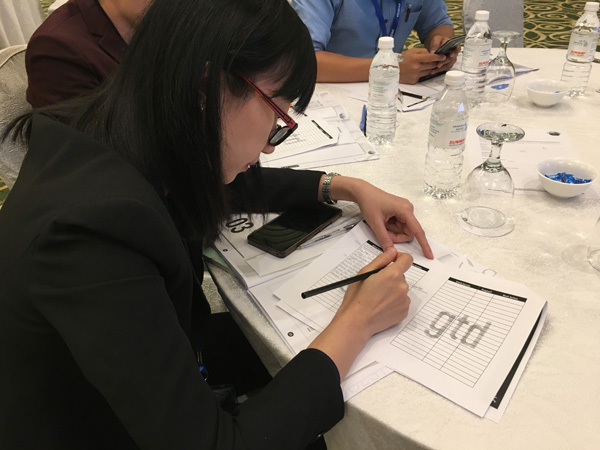 ‘Code Breaking’ challenged students to try to break different types of codes for students using logic, reasoning and creativity. Sprint Maths competitions were held for different age groups of students at lunchtimes. On Friday, the Mathematics faculty, joined by Maths teachers from ISB, had an enriching workshop with Maths Week guest speaker, Jim Noble, where they had the opportunity to exchange ideas about teaching mathematics. 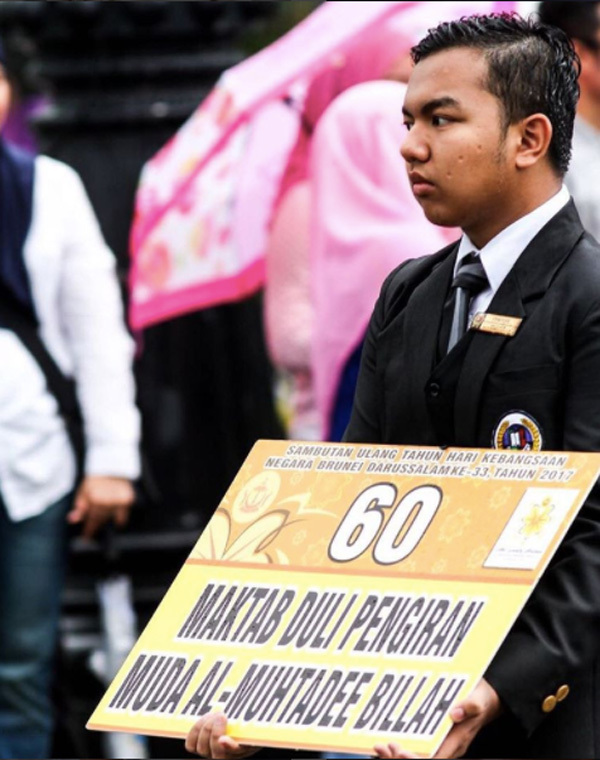 Maths Week at JIS has always been a popular event amongst the students & is one of the most anticipated in the academic calendar. It looks as though the week with Mr Noble will continue this tradition! Press release by JIS. Sedan redefined- the new Audi A3. Audi launched the Audi A3 at the 1996 Paris Motor Show. The car was developed on the Golf IV platform, which followed in 1997. From the very first generation, the Audi A3 has boasted innovations and quality features from its bigger siblings, making it the founder of the premium compact class. The A3 initially was available exclusively as a three-door hatchback in three trim lines. Seventeen years later, the A3 Sedan was unveiled at the 2013 New York Auto Show. 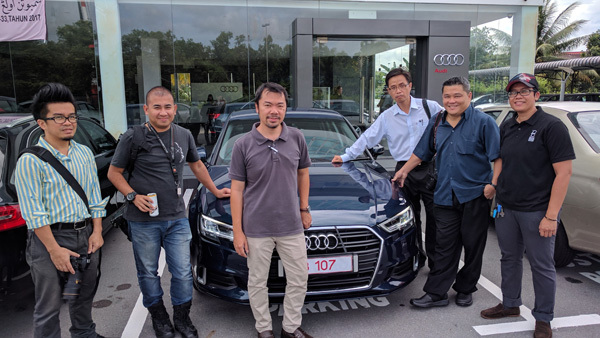 In 2014, TCY Motors Sdn Bhd as the sole Audi dealer/importer successfully launched the A3 Sedan locally and it went on to become the top selling Audi for Brunei the following year. 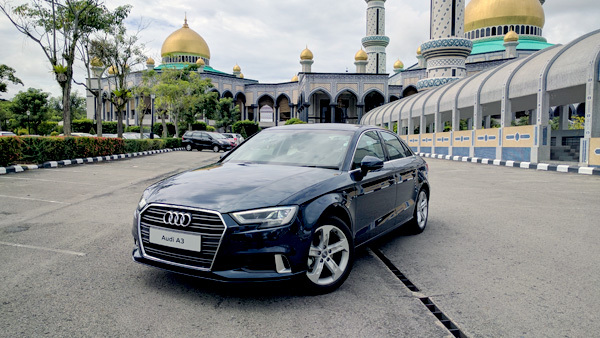 To coincide with the recent 20th anniversary of the A3 model family, the new updated A3 Sedan is now available for Brunei. Media on for a test drive. The success model from Audi has become even more attractive: the new A3 Sedan approaches the starting line with a new 1.2 TFSI engine as well as newly designed headlights and taillights. 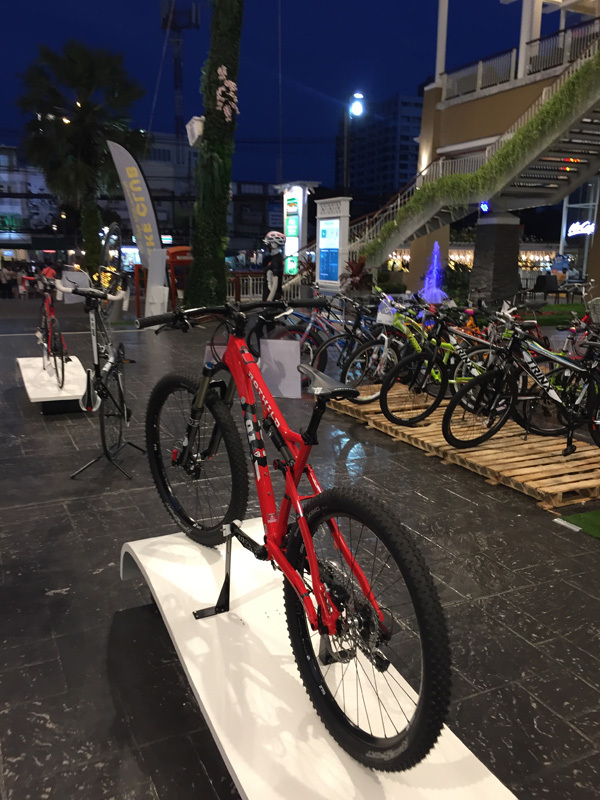 Updates feature a more sharply contoured and wider Singleframe grill and new headlight design. Now with full LED headlights with dynamic turn signals and cornering lights complimented by new rear light design. The interior of the sporty four-door features a light and clean design. The 425-liter (15.0 cu ft) cargo space can be expanded by folding down the rear seat backs. Equipped with the new 1.2 TFSI engine, the sedan has a curb weight of just 1,280 kg (2822 lb). 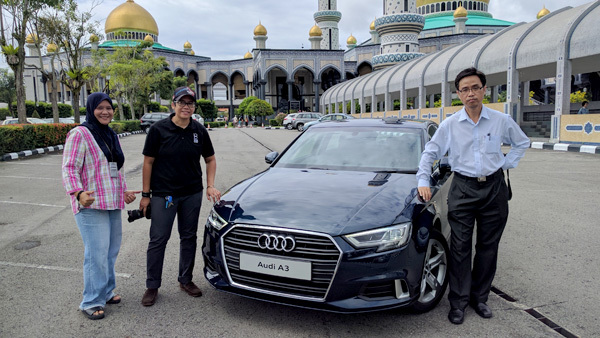 Audi Brunei will offer the updated A3 Sedan with a new powerful and highly efficient 1.2 TFSI engine with power output of 81 kW (109 hp) and 175 Nm. S tronic dual-clutch transmission will remain a standard for the model. Exclusive 17-inch wheels will compliment the package. The new Audi A3 Sedan will be offered at a competitive pricing of $41,489.00.